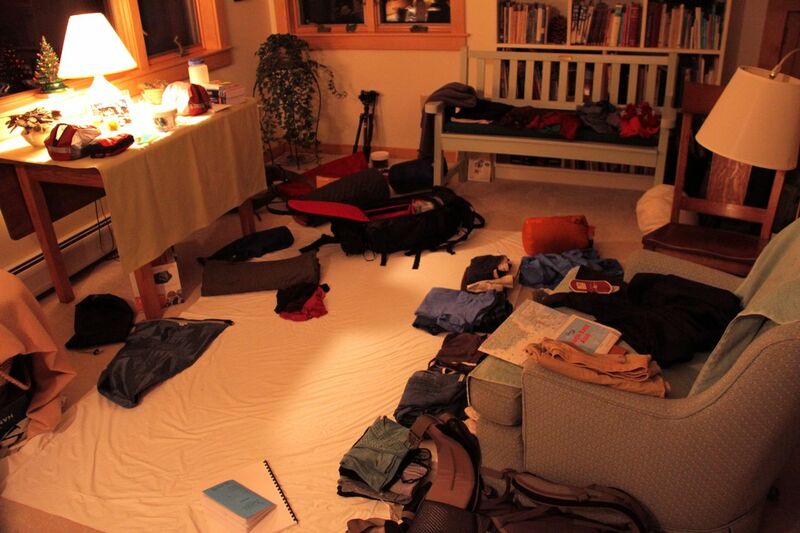 In the months and weeks before we left home, reading how other travelers have packed for round-the-world trips helped our preparation immensely. We scribbled countless shopping, packing, and to-do lists and took over an entire room for our “staging area.” Now, for those of you setting off in the near or not-so-near future, we can return the favor and help you remember the obvious items (pants; your passport), the small, forgettable items (nail clippers; headlamp) and everything in between. Mini extension cord/splitter – These days, most people travel with at least one piece of electronic gadgetry (ipod/laptop/cellphone), and if you add in a camera with batteries to charge a cord such as this one will prove useful time and time again. 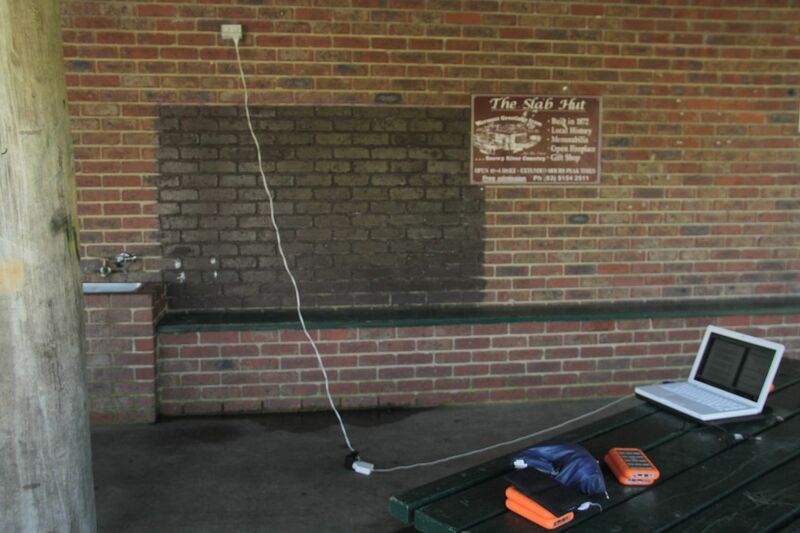 Ours is six feet long and splits one socket into three, meaning we can charge everything from the comfort of a nearby table instead of crawling around on the floor. 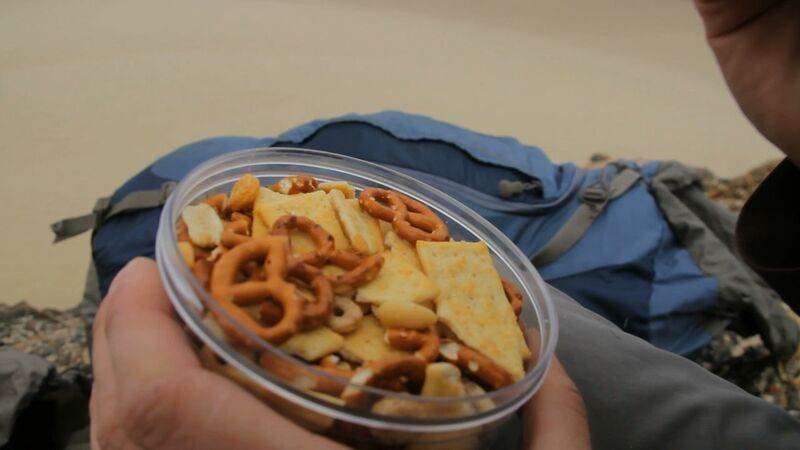 No joke, this might be the most useful item in our backpack. Outdoor Research PL Base Gloves – After years of putting up with numb hands on winter video shoots, we finally found a fix for our month of skiing in Japan. These liner gloves are perfect for shooting photos out in the cold. Just thin enough that you can still feel every button and lens ring, and warm enough to take the bite out of the winter wind. LaCie 500GB Rugged Drive – These are far and away the best hard drives for steady travel. While a flash drive may suffice for a shorter trip, if you’re going to be taking a few hundred GB (or in our case, several TB) worth of photos or videos, look no further. These drives are small, light, and, appropriately, quite rugged— I once saw a co-worker drop one to the floor from waist height, plug it in, and continue his work. As an added bonus, they’re powered through the computer via Firewire or USB, so there’s no need to trip over more cords or use up another power outlet. Dakine Sequence Camera Backpack– This backpack has been used and abused every day since we left home, on top of three years worth of use beforehand. It’s awesome. It has a snug and stable fit, and is protective enough that you can ski or ride full tilt and not worry about crushing your gear in a fall. The internal camera block is removable, which we carry along on multi-day hiking trips inside our larger backpacking packs. A perfect pack for travel or action sports photography. Steph has a Dakine Heli-Pro ski/snowboard pack, which is equally excellent in its own right. 500mL Nalgene screw-top containers – Nothing beats this 16-oz container for food storage on a backpacking trip. Fill it with snacks during the day, eat dinner out of it at night, store leftovers or wash it out and brew a hot drink. It’s rigid so your food doesn’t get crushed, has a solid screw on lid, and it’s just the right size. Plus, it’s cheap—no need for anything fancy. Find them at any good outdoor store. 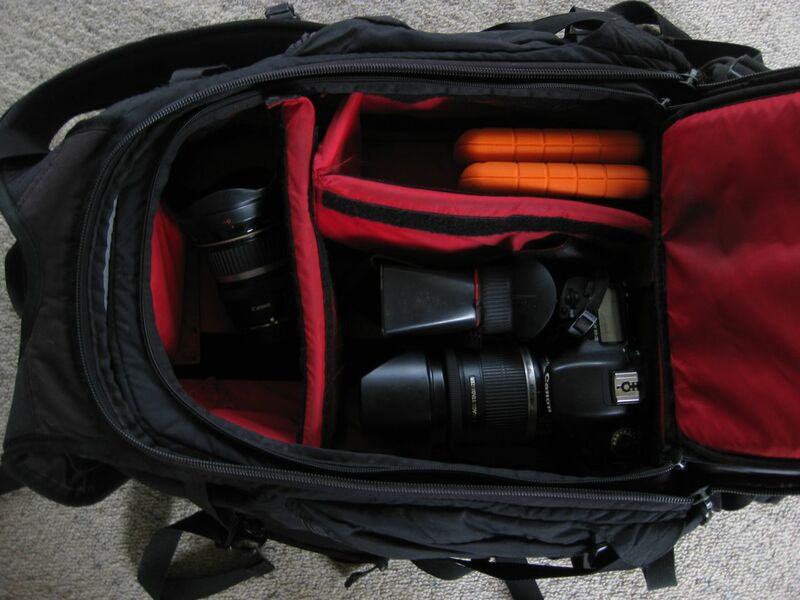 Pacsafe antitheft bag – We brought this to curb the nagging paranoia that comes with carting around lots of expensive camera gear. This 35L model is a metallic mesh that fits over our bag of camera and computer gear and locks around anything solid (bathroom pipes or the bed, usually) in a hostel room. While it’s hard to tell if it ever thwarted any thieves, the piece of mind it provided made us glad we had it along. Definitely recommended if you’re bringing along a DSLR, a laptop, or any large valuables and don’t want to bring them everywhere you go.